While going through their own education, teachers are tasked with developing an educational philosophy, which is a teacher's personal statement detailing her guiding principles about such education-related issues as how students learn best, as well as the role of educators in the classroom, school, community, and society. The educational philosophy statement is an essential document because it conveys your most personal thoughts and beliefs on education. This philosophy serves an important role in the lives of many educators and can be a tool to help you not only craft your teachings but also help you find a job and further your career. An educational philosophy refers to a teacher's vision of the grander purpose of education and its role in society. 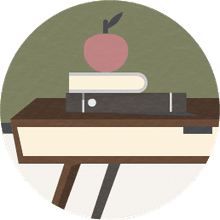 Educational philosophy questions involve such issues as a teacher's vision of her role as a teacher, her view of how students learn best, and her basic goals for her students. An educational philosophy should guide a teacher's discussions in job interviews, and it should be communicated to students and their parents. When writing your educational philosophy statement, think about not just your classroom management style but also your beliefs on education. From differentiated learning and teaching styles to the role of the teacher in the classroom, consider the following questions to help you frame your philosophy. Suggested answers follow each question. What do you believe is the grander purpose of education in a society and community? You might answer that you believe education is a pivotal driver of change, advancement, and equality in society. What, specifically, is the role of the teacher in the classroom? 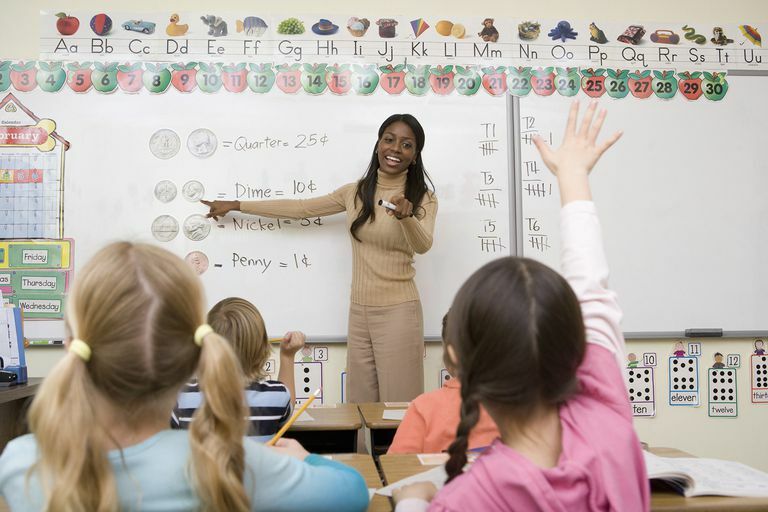 The role of a teacher is to use classroom instruction and presentations to help students learn and apply concepts in math, English, and science. How do you believe students learn best? Students learn best in a warm and supportive environment where they feel the teacher truly cares about them and their success. In general, what are your goals for your students? A teacher's primary goals are to help students figure out who they are and how they can be of service to their community. What qualities do you believe an effective teacher should have? An effective teacher needs to have a basic sociocultural awareness of and acceptance of his own and others' cultural identities. Do you believe that all students can learn? A good teacher certainly believes that each student can learn; the key is understanding what educational methods work best for each student and then catering instruction to each student's individual needs. What do teachers owe their students? Teachers owe passion to their students—a passion for the subjects they teach, their instruction, and a desire to help students succeed. What is your overall goal as a teacher? The overall goal for a teacher is multifaceted: to make learning fun and inspire students to find a love of learning; to create an organized classroom; to ensure that expectations are clear and grading is fair, and to incorporate the best available teaching strategies. How do you create an inclusive learning environment? Students come from a variety of socioeconomic and demographic backgrounds and can vary greatly in cognitive ability and learning styles. A teacher needs to strive to incorporate instructional methods that consider all of the varied backgrounds and learning abilities of students. Your educational philosophy can guide your discussions in job interviews, be placed in a teaching portfolio, and even be communicated to students and their parents. Many schools use these statements to find teachers and administrators whose approach to education aligns with the school's mission and philosophies. However, don't craft a statement that you think the school wants to read; craft an educational philosophy statement that represents who you are as an educator. Schools want you to be genuine in your approach. A full philosophy statement should include an introductory paragraph, along with at least four additional paragraphs; it is essentially an essay. The introductory paragraph states the author's point of view, while the other paragraphs discuss the kind of classroom the author would like to provide, the teaching style the author would like to use, the way the author would facilitate learning so that students are engaged, and the author's overall goal as a teacher. "I believe that a teacher is morally obligated to enter the classroom with only the highest of expectations for each and every one of her students. Thus, the teacher maximizes the positive benefits that naturally come along with any self-fulfilling prophecy; with dedication, perseverance, and hard work, her students will rise to the occasion. "I aim to bring an open mind, a positive attitude, and high expectations to the classroom each day. I believe that I owe it to my students, as well as the community, to bring consistency, diligence, and warmth to my job in the hope that I can ultimately inspire and encourage such traits in the children as well." You may actually change your educational philosophy statement throughout your career. Updating your educational philosophy is important to ensure that it will always reflect your current opinion on education. You can use this tool to stay focused on your goals, keep yourself moving forward, and stay true to who you are as an educator. What Is an Educational Philosophy and Why Does Every Teacher Need One?